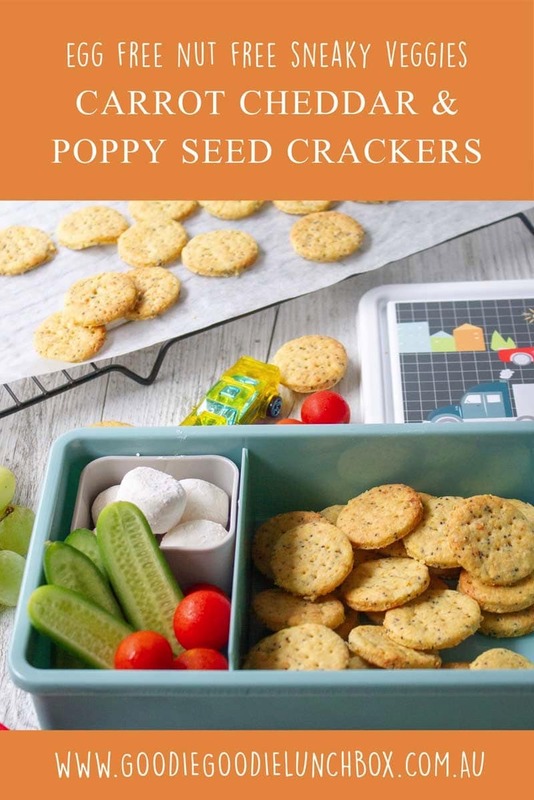 This recipe for Carrot Cheddar and Poppy Seed Crackers was originally posted in November 2017 and has been updated in December 2018 with new images and a few small updates to the recipe, including making the recipe egg free. I have been making these Carrot Cheddar and Poppy Seed Crackers for a little while and I am so happy to be sharing this recipe with you! 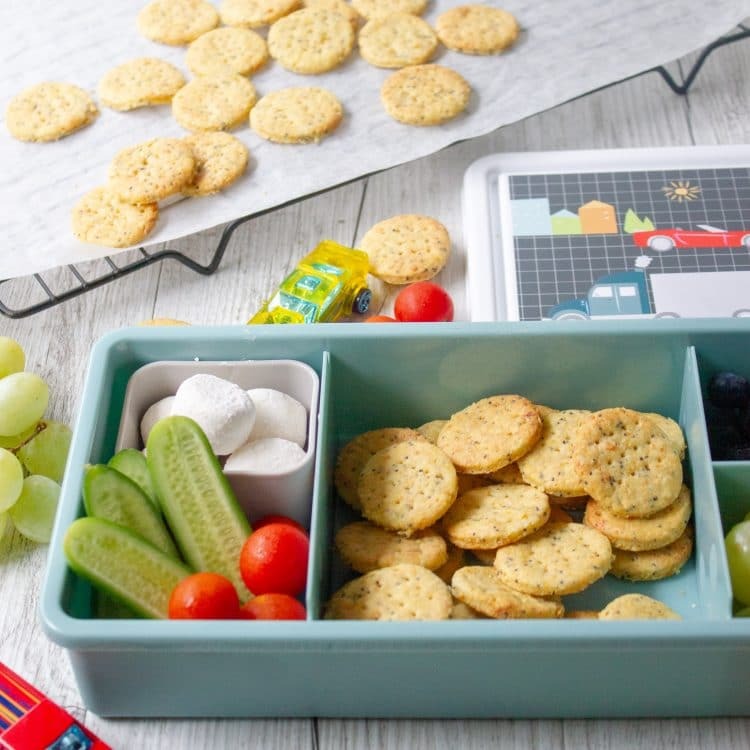 My two previous cracker recipes Healthier Pizza Shapes and Healthier BBQ Shapes have been on high baking rotation in our house – so popular. 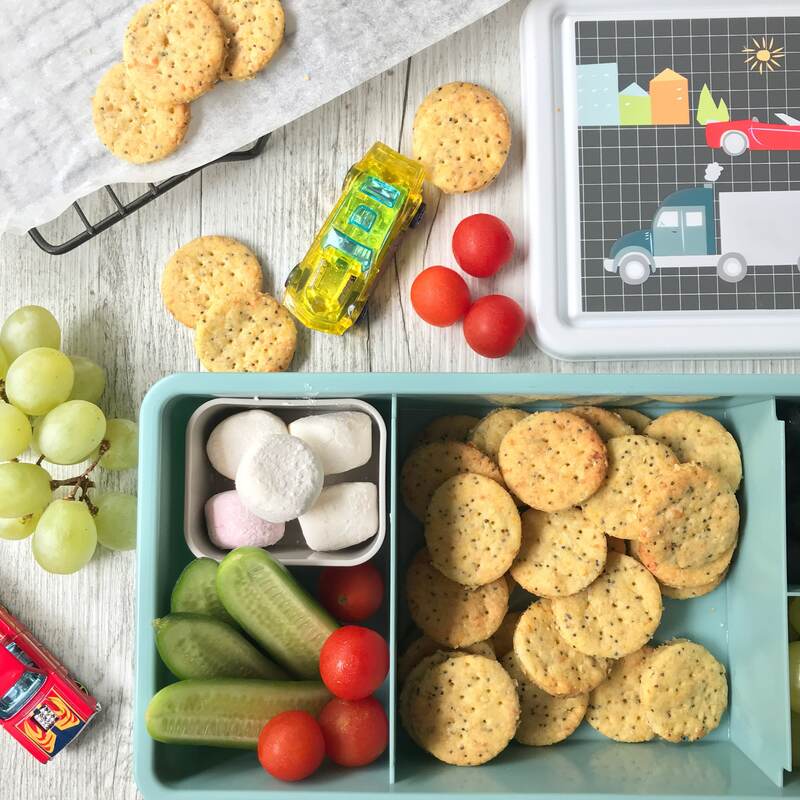 But even though they are so good I am loving introducing a new flavour combination to our snacks and lunchboxes. The great thing about these crackers is the carrots. I love a bit of sneaky (and not so sneaky veg) in cooking, especially in baking as it’s such a great way nutrient boost. The carrots add a subtle sweetness but really I just taste these cheese in them. And who doesn’t love cheese?! 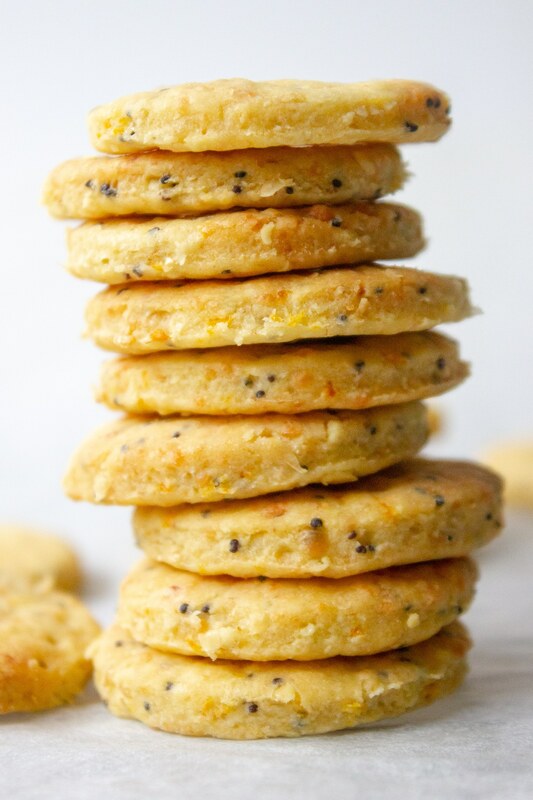 Like my other cracker recipes, these Carrot Cheddar and Poppy Seed Crackers are really easy to make in a food processor. I often whip up a batch before school drop off in the morning, roll the dough out and pop it in the fridge to chill. When we get back from the school I cut the dough and finish baking. Before long the house is filled with the delicious scent of baking and the twins and I have freshly baked Carrot Cheddar and Poppy Seed Crackers for snacks. Yum. If you don’t have a food processor you may like to try these Easy Homemade Cheese Crackers. 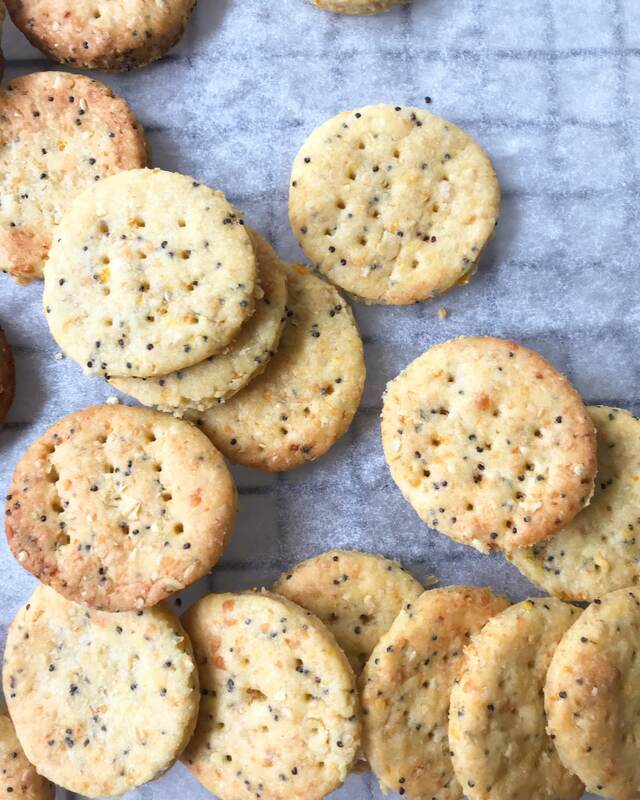 These Carrot Cheddar and Poppy Seed Crackers are crisp and delicious. 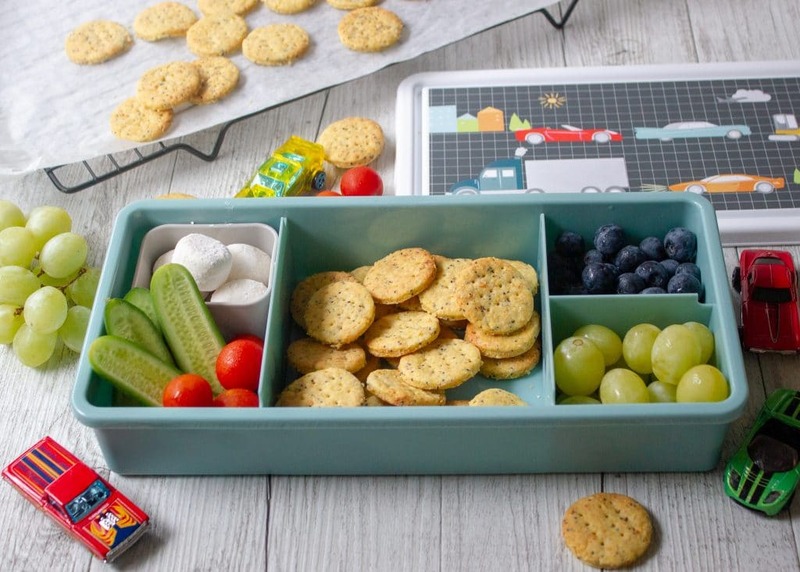 A perfect kid-friendly way to get some extra nutrients in little tummies. When the dough is ready, turn onto a floured board or bench (or directly on to baking paper which is a lot easier) and roll out in a rectangle to around .25cm thick. When the dough has chilled use cookie cutters to cut out your desired shapes or a pizza cutter to easily cut your crackers into squares. Bake the shapes in the oven for around 10-12 minutes until golden brown. The time indicated is entirely dependent on the shape sizes and how thin your dough is rolled so keep a close eye on your shapes. I like these to be a bit darker so they are crisper. These crackers store well in the freezer for two to three months. After baking, cool on a wire baking rack then pop into a ziplock bag to freeze. I hope you enjoy making and eating these delicious Carrot Cheddar and Poppy Seed Crackers as much as we do. Remember I would love to see your baked goodies. Take a picture and tag me over on Instagram or share with my on Facebook! Until next time, happy baking. What is “tasty cheese”? Can entirely whole meal be used instead of plain flour for healthier option? It’s a cheese flavour we have here in Australia and in New Zealand. It’s a hard cheddar cheese, I would recommend getting one that is a little matured or aged to get a very cheesy flavour. Yes you can use wholewheat flour. I have not tested though. Hi, will I be able to replace the flour and baking powder with 2 cups of gluten free self raising flour? Hi there, is 180 fan forced or should I do 160 fan forced?